Summer is the season of long days that seem to stretch on, making us all dream about pool parties or vacations in cold places. Summer also brings with it the opportunity to make use of numerous seasonal vegetables and fruits that have a wealth of nutrition and taste. Cooking enthusiasts and chefs especially love summer for the treasure trove of tastes and flavours to experiment with. From summer melons to berries and delicious summer vegetables, food enthusiasts have a lot to work with when it comes to cooking. 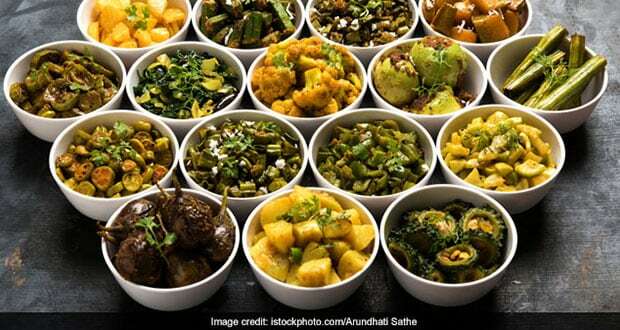 Indians have a long history of cooking summer vegetables like brinjals, bottle gourd, cucumbers, pumpkin etc. From curries to dry subzis, raitas, drinks and salads, summer vegetables can be consumed in a number of different ways. This summer, we are celebrating the amazing and nutritious range of vegetables that are available to us in the Indian subcontinent. Following is a list of recipes with popular Indian summer vegetables as the stars of the dishes. Lauki ki yakhni is a recipe where the light and healthy bottle gourd is elevated in taste by cooking it in yummy curd gravy. Khatta meetha kaddu or sour and sweet pumpkin subzi can be enjoyed with chapatis and parathas, while Pulissery is a cucumber and buttermilk dish, prepared in Kerala. Hyderabadi baingan and khatte baigan are prepared with the stellar brinjal that is rich in fibre, potassium and calcium. Okra or bhindi is another summer vegetable that Indians love to cook with and the given recipe combines the cooling effects of curd with the nutrition of bhindi.